Art, Music, Life and Random Goodness. This track does it to me every time—chills baby, and smiles for miles kids. Take a listen, good trance music right here. An oldie but most def a goodie…. Oh, and for all the guidos out there… fist pump! New music makes me happy. 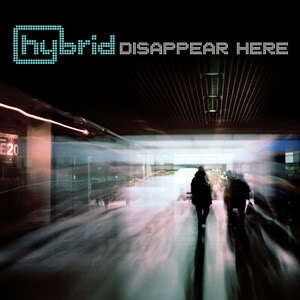 I’ve been listening to the latest Hybrid album, Disappear Here, so good. Been rocking it all day long today. I think you will too. It’s the kind of album that leaves you wanting to listen to it again once its over. Hybrid is killing it… Standout tracks are Every Word, Can You Hear Me, Salt, Break My Soul, and Disappear Here. If you dig on breaks, trance and big orchestras with beautiful vocals, lend an ear. I think you’ll feel it too. Pick it up on itunes. I'm an artist, designer, and teacher.